Cambro Pizza Delivery GoBags help you protect those signature menu items your customers crave! Try them at your restaurant, pizzeria, or cafe to deliver orders safely at just the right temperature! These bags are available in black or red, with multiple sizes. You can even personalize these bags to promote your business! Cambro's standard bags feature a 600 denier nylon fabric. Each bag is thick, sturdy, and water resistant - making them perfect for delivery services at a good cost. For an even more durable option, try Cambro's premium pizza bags. These bags are made in the USA and are constructed out of a 900 denier nylon, making these bags great for heavy duty use. Both premium and standard bags have high-density insulation to keep food hot or cold. At the same time, they remain breathable to ensure food quality and to prevent steam from making your food soggy. Both bags also feature heavy-duty sewn-in straps that can keep even your largest orders secure! Complete with a ticket pouch, these Cambro bags can streamline any delivery service. Whether you're delivering 2 pizzas, or 10, Cambro has the perfect sized bag for the job. 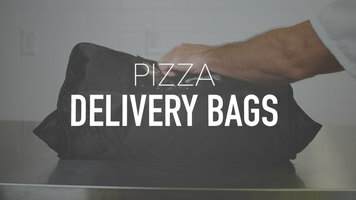 They also offer an assortment of other delivery bags, making sure to have the perfect bag for all of your delivery needs! Cambro’s Pizza Delivery GoBags are machine washable so it’s easy to clean up any accidental messes! And best of all, these bags fold flat when not in use, saving you valuable storage space. Maintaining temperature and keeping food safe during transport is essential, so make sure you have a delivery bag that fits your needs. These Cambro Pizza Delivery GoBags ensure your food orders are delivered to your customers while maintaining your brand image and reputation for quality! Whether you're delivering 2 pizzas, or 10, Cambro has the perfect sized bag for the job! With high-density insulation to keep food hot or cold and a sturdy, water-resistant nylon exterior, Cambro's Pizza Delivery GoBags are built to last and ensure your foods are delivered safely at just the right temperature. 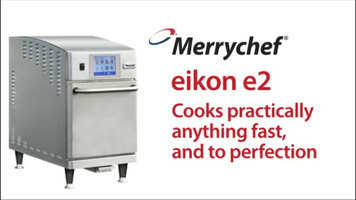 The Merrychef eikon e2 combination oven is a new way to rapidly cook your food to perfection. 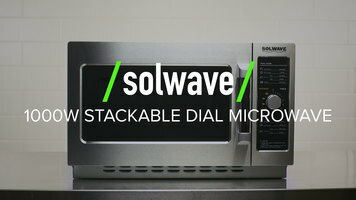 Watch this video to see all the benefits and features this oven has to offer!